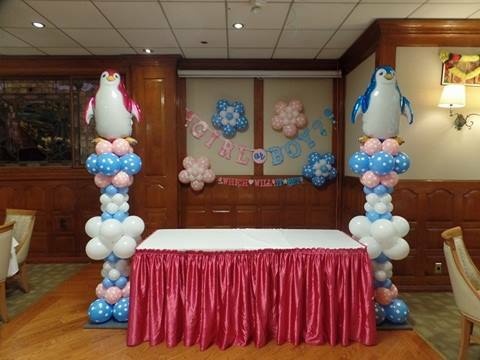 Pink and blue penguins! 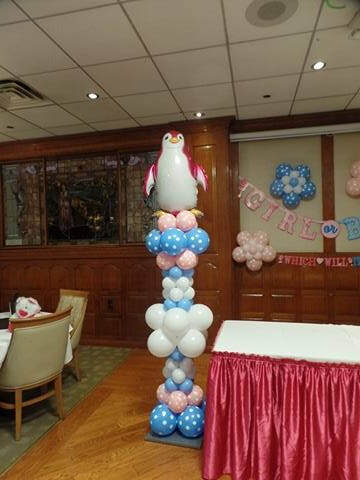 For this baby shower I created two balloon columns topped by foil penguins! Oh, so cute!!! For the walls, I placed four balloon flowers. 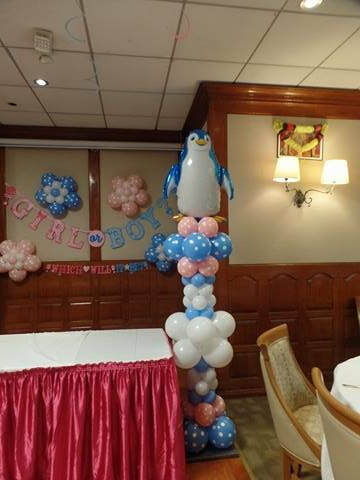 Girl and boy penguin balloon columns.